My bad. I have been very lazy. I also had a number of bizarre twists in my camera inventory. Remember the Technika V camera? I have the 127mm Ektar from the Speed Graphic and a 105mm Tominon (ex-Polaroid) lens on Technika boards. I exposed 4 sheets of film in the camera last Sunday. I'll get them developed in January. With a bit of fiddling and exercise, I can make all of the movements work as they should. A nice camera. Next is the Hasselblad 501c/m and 80mm CFE lens "on loan for a year until you decide if you want it." My early impression: I like the camera. It's not a Magic Bullet. I'm not convinced that it's any better than the Pentax 6x7. Stay tuned. I have a lot film to run through both cameras. Of course that cuts into my time with Bigfoot & Bubba. I saw a listing for an nearly new (2001), unblemished Leitz 90mm Elmarit-M on the Houston based 99% digital Texas Photo Forum one evening. The price seemed low. Like too low to be real. If the listing had been anywhere else, I would have thought, "SCAM!" The next morning I checked KEH, RFF, etc. and confirmed that the lens was A. Decent and be B. Well below market price. I contacted the seller. He brough the lens to my office at noon. I looked it over. Wrote a check. Done deal. I now have 3 lenses of 85mm & 90mm. 1 or 2 must go. Deciding will be tough. As I type my c/v 75mm/2.5 lens is on the way to joe (back alley) of RFF fame. I don't miss it yet. Having a 75 & 90 might make some sense. However, I needed to pay for the new 90mm and joe came forward at the right time. 2010 will have to be the year for Bigfoot & Bubba. 2009 was scattered all over the place. I did manage a few photos for the 35-50-90 Project. 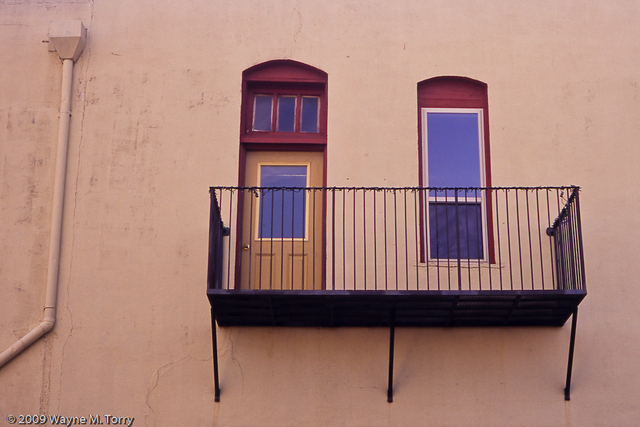 A balcony in Winnsboro, Texas. 1961 50mm D.R. Summicron. Glenwood Cemetery, Houston. 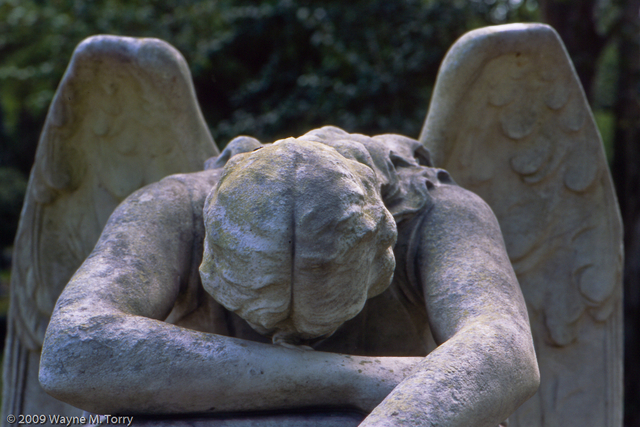 Weeping Angel. 1965 90mm Elmarit. Velvia 100F. 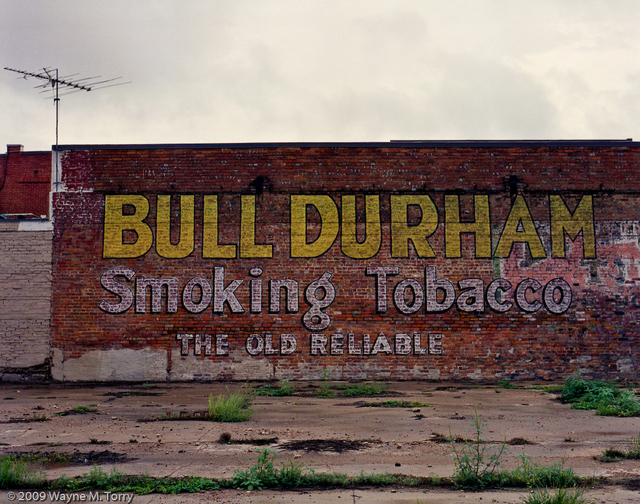 And one from the Hassy..............Bull Durham. Giddings, Texas. Thanks for reading and looking. I need to figure out the formatting here. I dig the Bull Durham and the Weeping Angel, very nice. How did the Tominon shots turn out with your Speed Graphic?